We hold two sets of workshops each year, spring and fall. The spring workshops happen a little more than two months from now and it is time to begin preparations. The first workshop is the Sign MAGIC Workshop that begins April 19, 2013. It will be the fifteenth time we have presented this workshop. I'll never tire of being able to share our unique approach to sign making. This workshop will hopefully change the way each attendee thinks about making signs. 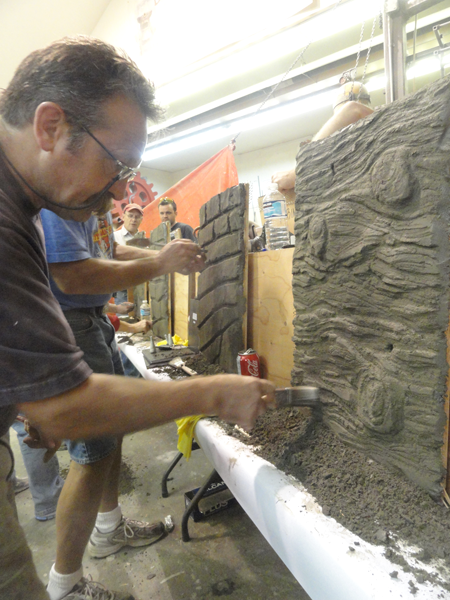 Our second workshop starting April 26, 2013 is our third Sculpting Magic Workshop. This workshop is a full blast, hands-on event that covers a variety of mediums and methods that we use in our shop on a daily basis. I find these workshops invigorating and high energy fun! We have lots of very talented folks signed up from across Canada, the USA and from as far away as Hawaii and New Zealand. We'll be pulling out the stops this go around. Each workshop will be three full days of high energy learning and inspiration - an unforgettable experience that will totally change the way you think about dimensional signs. For those still thinking about attending, we have a couple seats still available. We are counting the days for this fun aventure to begin!